Click on an image for a larger version in a new window. Our river cruise ended in Amsterdam with one full day in port, and then we stayed on for another two nights. 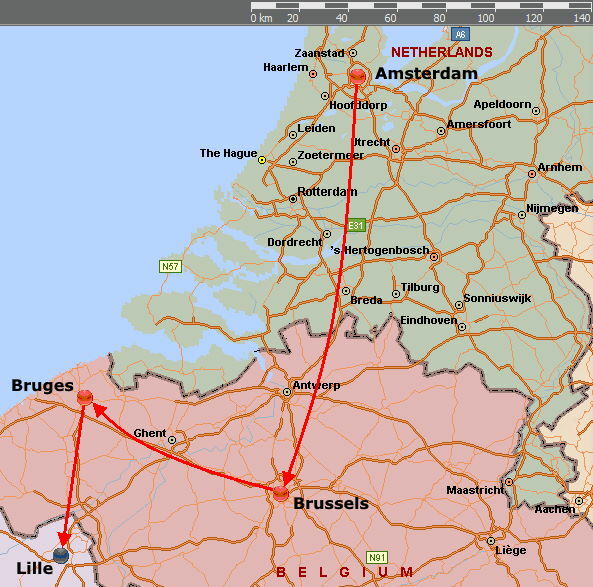 After that, we travelled by train to Brussels and Brugge, before again taking a train to Lille, where we picked up a rental car to drive around France. Click on the map for a larger version. Our time started in Amsterdam.